Ho'olei owners enjoy special golf privileges, including reduced green fees, at the nearby championship courses, Wailea Gold, Wailea Emerald and Wailea Blue. It has often been said the most difficult hazards on the courses are the distracting views of the beautiful scenery, the Pacific Ocean, Molokini islet, and, in season, whales breeching. Ho'olei owners may purchase a preferred membership at the Wailea Tennis Club. Wailea Tennis Club membership programs are not controlled or administered by the developer. See specific membership agreements for full details and membership terms. After the first year, membership dues for The Kulana Club are the responsibility of the owner. The Kulana Club and Wailea Tennis Club membership programs are not controlled or administered by the developer. See specific membership agreements for full details and membership terms. * The services described above will be offered and controlled by the Association of Apartment Owners of Ho‘olei or through agreements between the Association and third parties authorized by the Association to offer services at theProject such as the owner or manager of the Grand Wailea Resort Hotel & Spa or any oftheir affiliates. These services could be modified or discontinued at any time in the future. 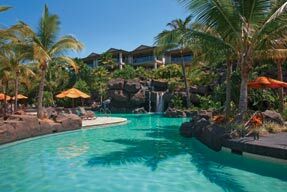 Additionally, continued membership in The Kulana Club or enrollment in the Grand Wailea Resort Hotel & Spa vacation rental program will be a condition of receiving certain of the above described services. Additional charges may apply for optional services purchased from the Grand Wailea Resort Hotel & Spa or other vendors.